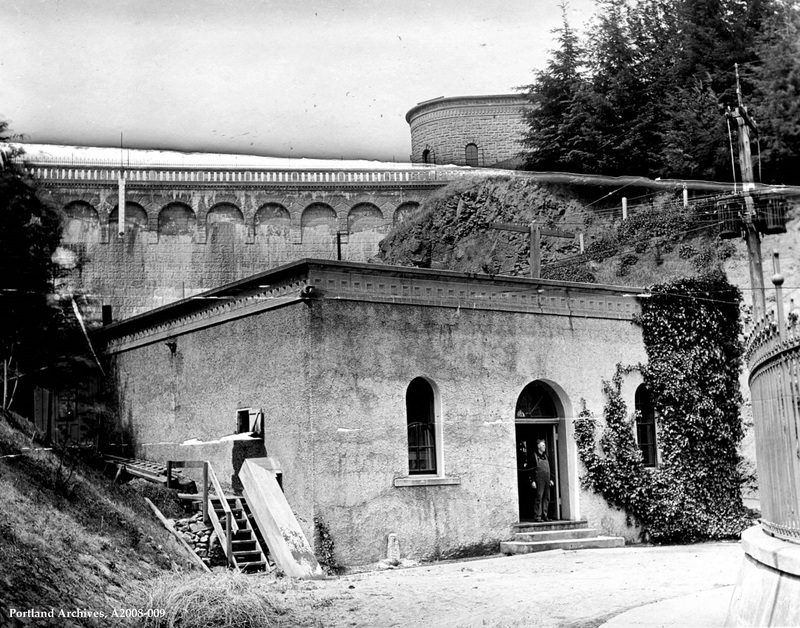 Damage to reservoir 4 due a landslide at 2521 SW Murray Street, 1897. City of Portland (OR) Archives, Reservoir 4 damage I-D-4, A2008-009, 1897. 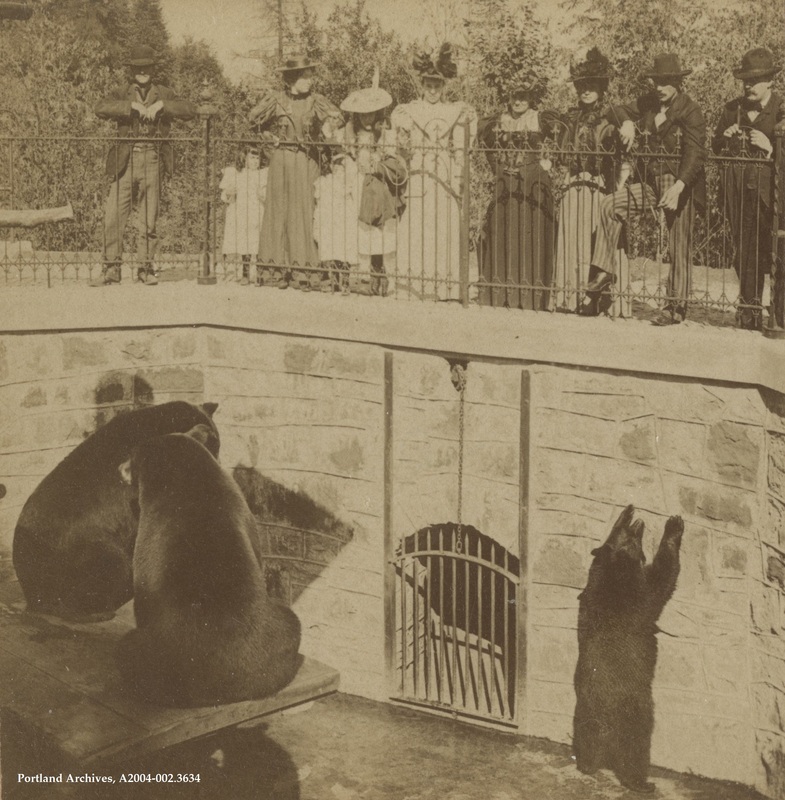 The “Bear Pit” at the Washington Park Zoo, circa 1900. City of Portland (OR) Archives, A2004-002.680. 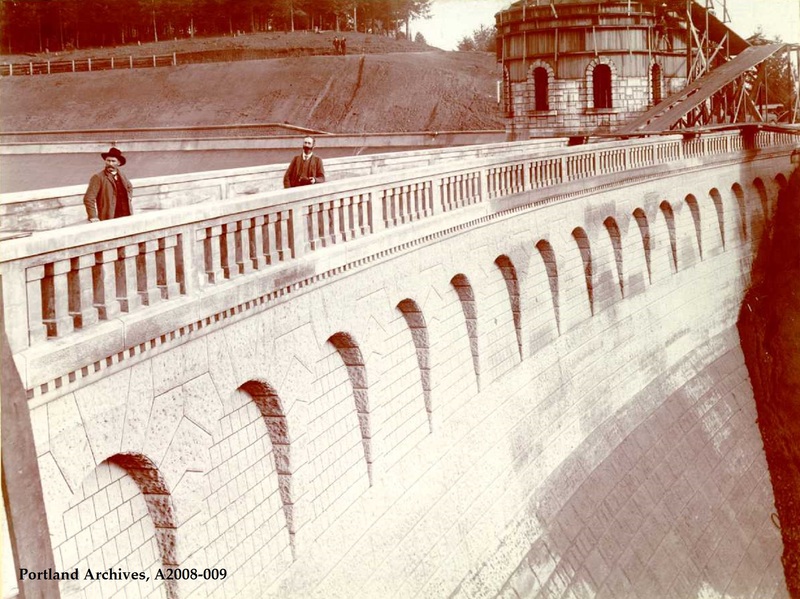 Looking northeast on Reservoir 3 with contractors Keatinge and Plettenberg posing, 1894. 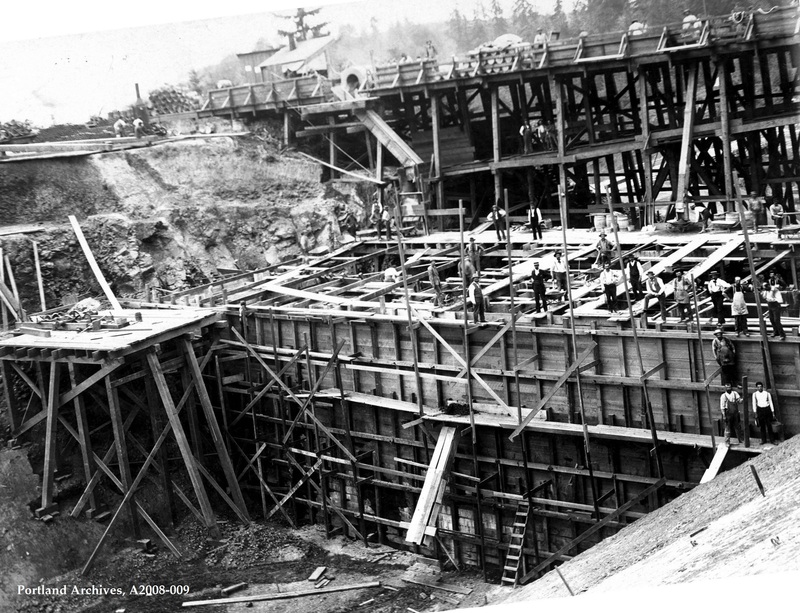 City of Portland (OR) Archives, Reservoir 3 looking northeast with contractors Keatinge and Plettenberg on dam, A2008-009, 1894. 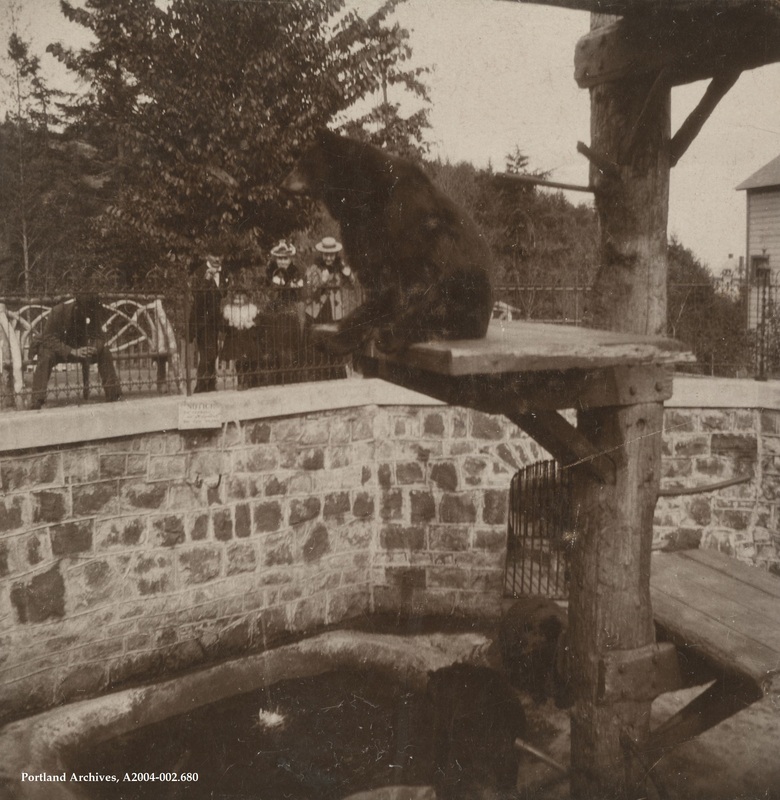 The “Bear Pit” at the old Washington Park Zoo, 1900. City of Portland (OR) Archives, A2004-002.3634. 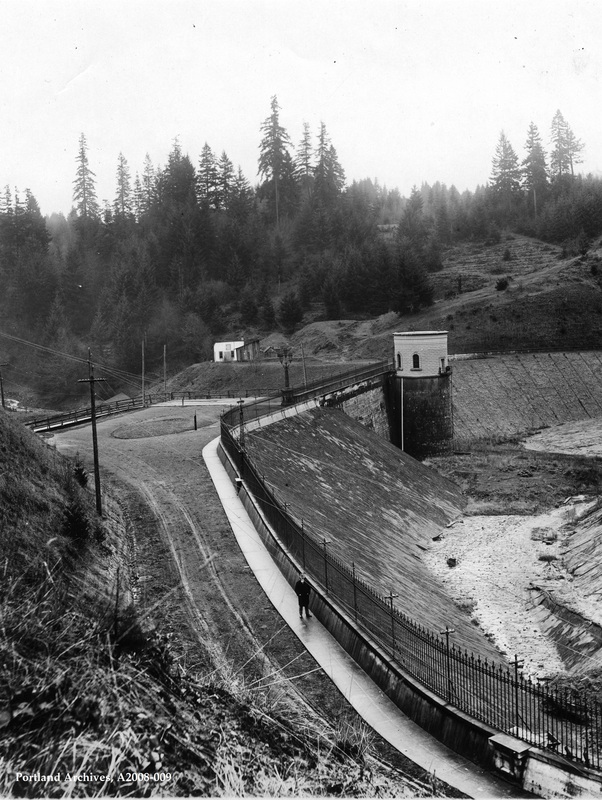 Reservoir 4, and the Washington Park station, 1916. Reservoir 4 and Washington Park station, A2008-009, 1916. 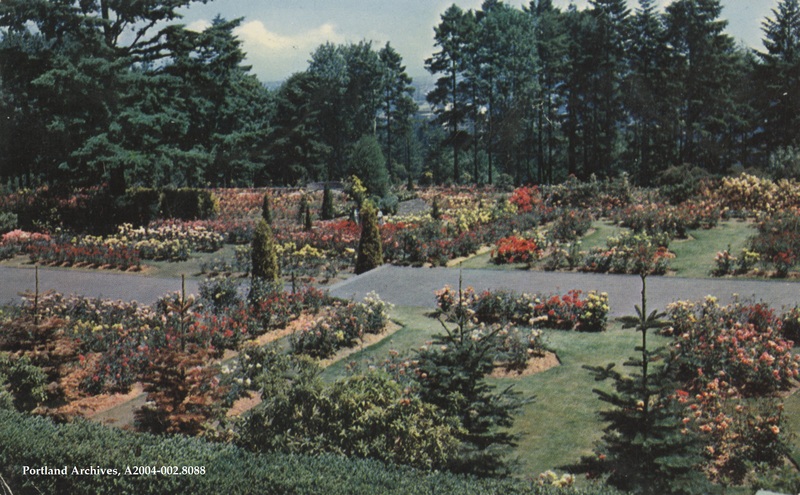 The Rose Garden in Washington Park, 1956. City of Portland (OR) Archives, A2004-002.8088.